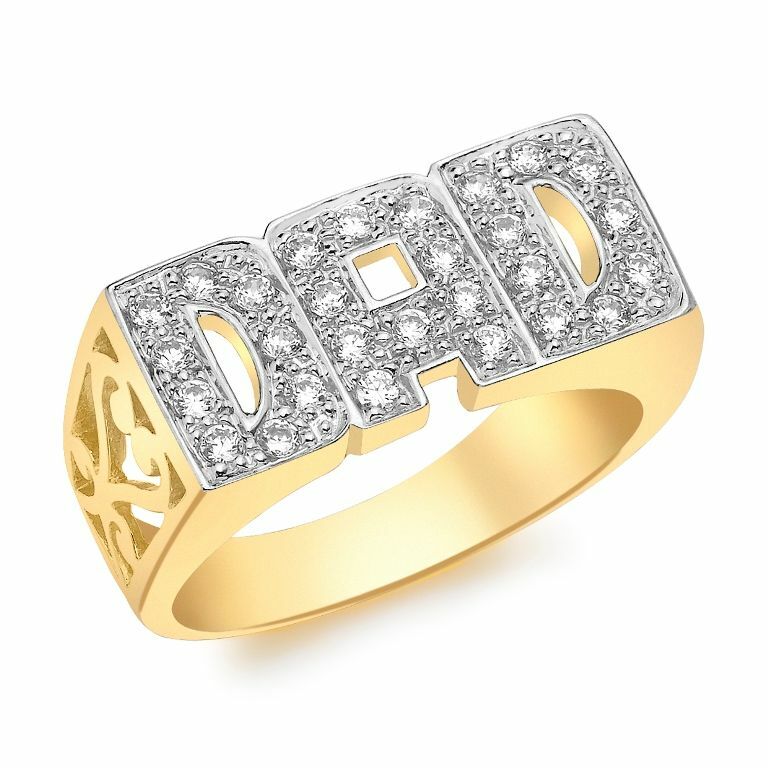 9ct yellow gold 5.0g CZ dad ring. Ring Shank: 3mm. Setting: Pave Set. Stone Details: 2mm CZ Stones. Comes complete with presentation box. Please allow 3 working days for free UK delivery.